A Little Further Down The Line! 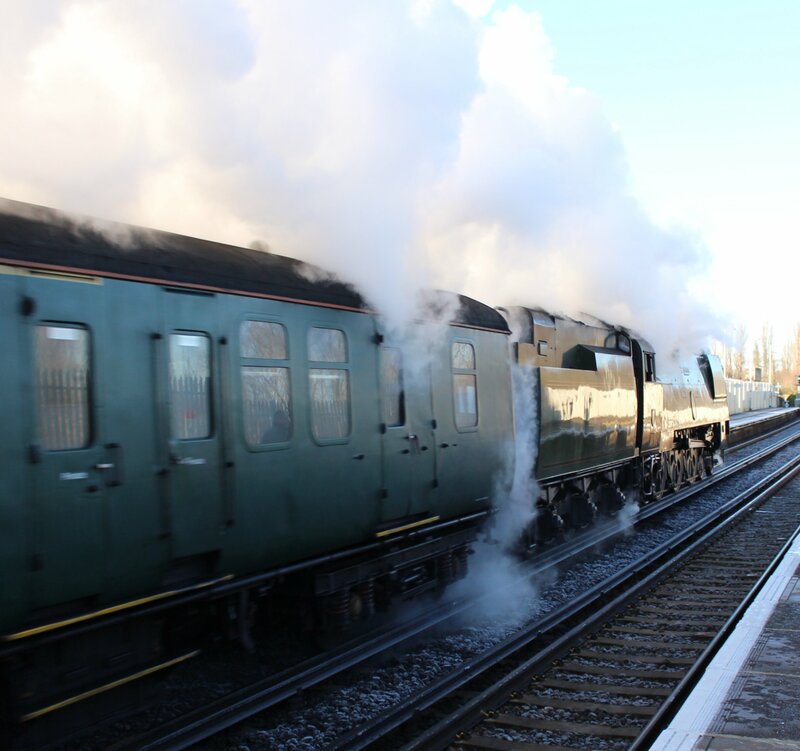 Following Simon’s excellent blog post yesterday and this morning’s Advent Calendar blog post is Battle of Britain class 34067 Tangmere, this time running through Emsworth. 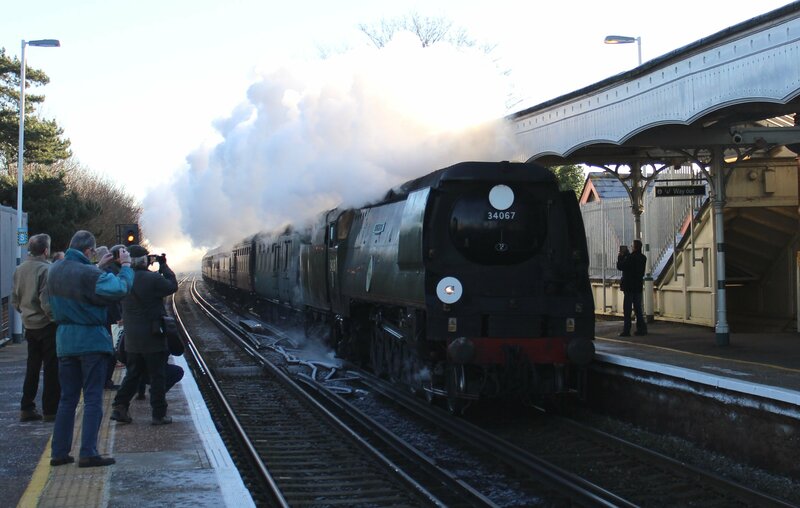 As with Simon, I was quite taken aback by the locomotive’s performance, it was flying and looked absolutely magnificent as powered through the station. 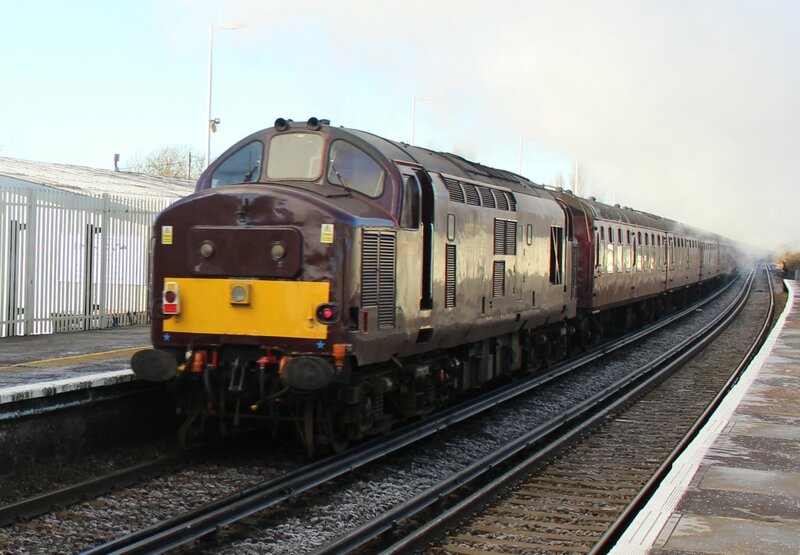 There was also some heritage traction at the rear of the train in the form of diesel electric class 37 37668. All in all it was a great few seconds that was well worth standing in the cold for a few seconds!